I have been called the queen of blisters…. ha ha ha! I love it! 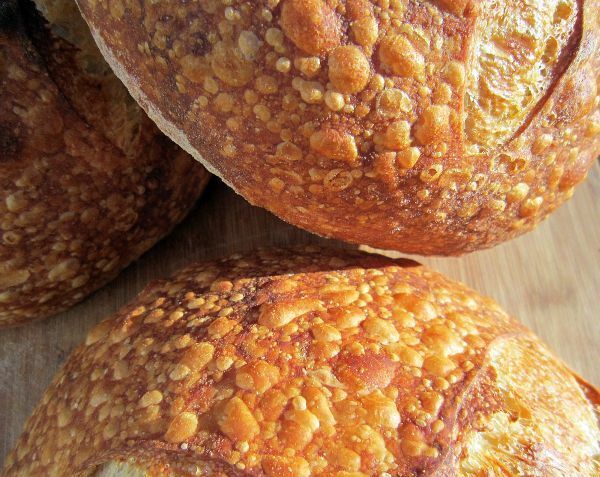 Now if you are from those countries where bread crust blisters are considered a fault, then go off and hide in the corner because this post isn’t for you. 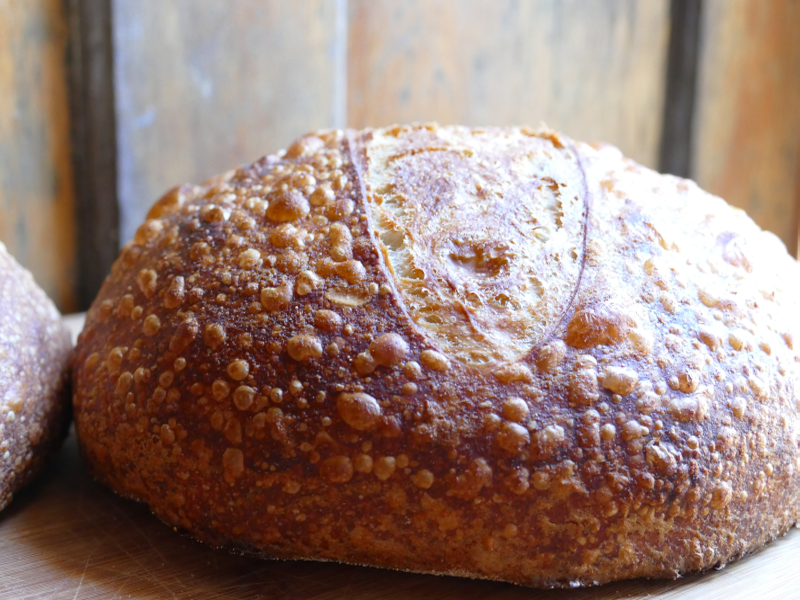 Here in the USA we love blistered crust, holey crumb and sour tangy flavor in our sourdough bread. Who cares if the bread won’t hold our sandwiches together? If you can stick a finger through those holes in the crumb, you are rightly proud, and for good reason. 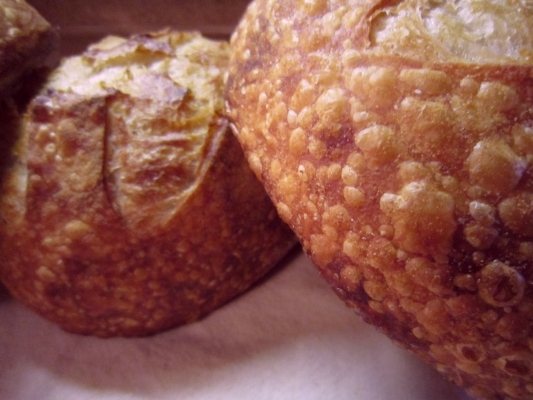 .Those complaining about your large holey crumb are often holey crumb challenged… so go stand in the corner if you don’t like large holey crumb in your bread. 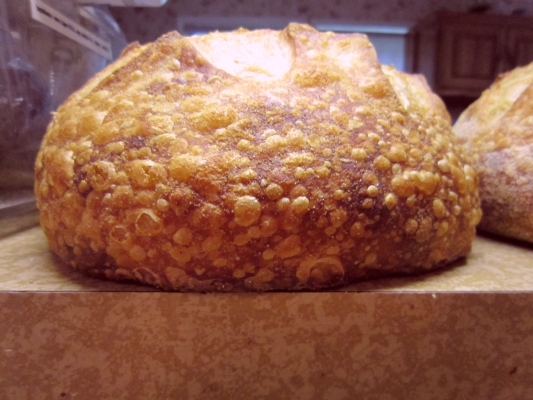 Now I like all kinds of crumb in my bread, but my favorite is moderately large holey crumb to eat plain with butter or use as dipping bread for soup. .Holey crumb bread slices can hold my sandwich together because I either use pesto or olive oil or nothing for a sauce on my sandwich. As always, Happy Baking Everyone!